There is also a Blog which we will update daily and a Discussion Area. 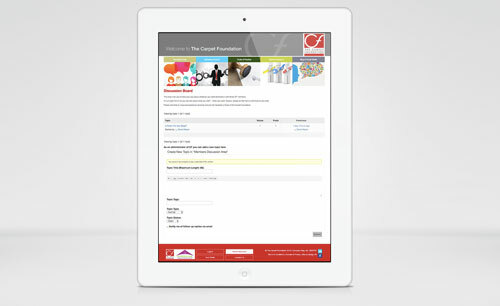 This area is for you to have your say about whatever you want and share it with fellow Carpet Foundation members. It is an open forum so you can talk about what you want – when you want. Equally, please do feel free to contribute to any chat. Please note that all views expressed are personal and are not necessarily those of the Carpet Foundation.